Pharmacy automation is quickly becoming a necessity within the industry. The reason behind this is because of how easy it makes life for pharmacists and pharmacy technicians. Pharmacy Automation is a great feature because it cuts down on the number of mistakes that can be made over the course of the day, while also acting as a time saving device. In the end, this type of automation is something that can not only save the pharmacy a great deal of time, but can also cut down on the amount of money that is being spent on tainted pharmaceuticals and wrongfully filled prescriptions. Perhaps the best thing about pharmacy automation is how easy it is to integrate into an existing pharmacy. Automation products will fit seamlessly into a pharmacy by keeping track of all of the prescriptions and making sure that every customer gets exactly what he or she needs. All of these prescriptions will be handled by the automation products, which gives the pharmacist time to work on more important aspects of the pharmacy. Every prescription will be filled out with the right drug, strength, and label, as human error is nearly completely eliminated by using one of these systems. The extra time that the pharmacist has can be used spending time with customers and counseling them, which is why the majority of people got into this field in the first place. Another great aspect of automation is how it lowers the wait times for each customer. This is because an individual will not have to come in and then wait for a pharmacy tech to fill the prescription and measure everything by hand. The automated system will handle all of these aspects for the customer, so there are shorter wait times. In addition, it allows for a pharmacy to have more cost certainty, since more staff will not be needed during the busier times of year. Any pharmacy that is dealing with over 150 prescriptions per day will automatically make money by switching over to a pharmacy automation system. Sometimes a pharmacy can run into problems if the proper description is not used on the label of a drug. This is because a customer might not be aware of some of the dangers of taking a prescribed drug, especially if that person has not thoroughly researched it. A doctor can provide a patient with this information but, obviously, there are many cases where a patient will not listen or remember. An automation system will print a description on the label of the prescription bottle so that this kind of confusion is eliminated. There have been cases in the past where cross-contamination can occur if certain drugs come into contact with the same surface. A customer may have an allergy to the contaminant medication, and believe me, this is something that all pharmacy professionals wish to avoid. Pharmacy automation eliminates the chance of this happening by keeping track of a patient's history and by providing a sterile work environment. Simply put, this technology cuts down on the mistakes that people make, which makes the pharmacy as a whole much safer. This technology is becoming so popular that many of the top pharmacists in the country will not work without it. Therefore, pharmacy automation technology is becoming increasingly necessary if you wish to attract top pharmacists and technicians or keep them once you have hired them. The amount of stress that these devices cut down on should be reason enough to get them, but since so many pharmacists and techs now refuse to work without them, it is becoming increasingly necessary for pharmacy owners to bite the bullet and purchase a pharmacy automation system. Pharmacy owners will also find that their employee retention will increase as well, since people enjoy working in an environment where much of the work is done for them with these valuable tools. This is a "real time" technology, so there is no wait once a prescription is placed into the system. This system also keeps track of your stock and will let you know if you are running low on something. Therefore, a pharmacy will not have to hire anyone to do their inventory, as it will be handled for them by the pharmacy automation system. Essentially, this is like having a robot on your staff that will handle all of the jobs that you do not like doing yourself, which is much easier than trying to convince a staff member to handle these tasks day after day. In many cases, pharmacy owners might not trust a staff member to handle these jobs, but they can trust the pharmacy automation to do things right the first time. After a pharmacy owner makes their purchase, they will be trained in how to use the system in three or four days. They will then pay a flat rate every month for support, but it is definitely worth the cost. He or she will also have access to a customer support team that will walk them through any problems that they or their staff might have. This is state of the art technology that is not going to become obsolete anytime soon because it works so well and it is in such high demand. 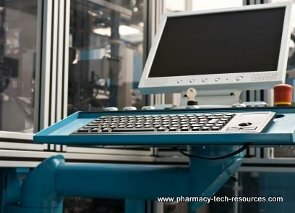 The next time you find yourself overworked in the pharmacy, make sure that your boss will look into one of these pharmacy automation systems because the amount of time and money that it will save them makes it well worth the initial cost.